This morning I found one of our of Dorper sheep dead in the paddock. We knew her only by an identifying ear tag – Yellow 428. She was 5 years of age, had a lamb 2 months ago and seemed to be a picture of health – and for me couldn’t have picked a worst time to die. I had a day full of appointments and a to do list as long as your arm. So as to not attract wild dog and foxes, our practice is bury any dead animals. 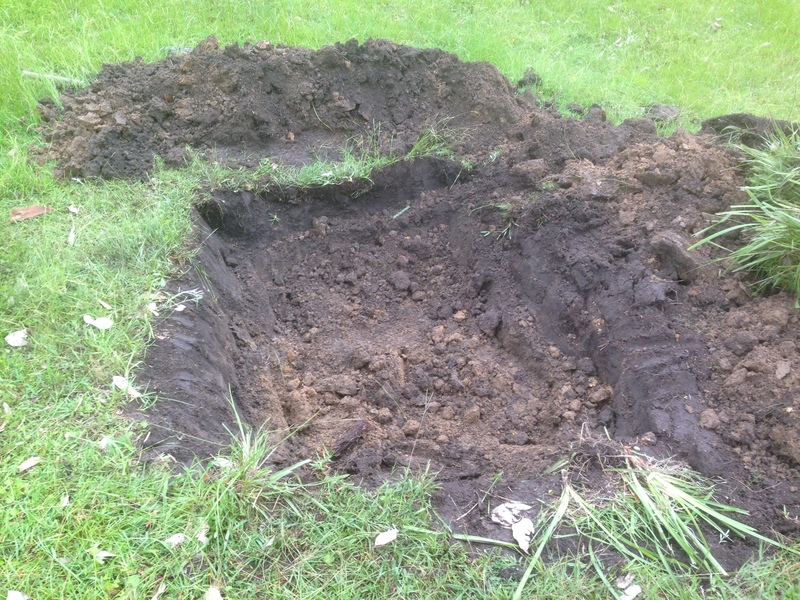 With our tractor out of action, I had no choice but to grab a pick and a shovel, start digging a hole – and quick! When I was younger I would have cursed poor Yellow 428 with every shovel load of soil I threw out of the hole. My mind focused on the other things I should be doing and how this inconsiderate sheep had thrown my day into chaos. With each shovel load the hole would seem to be getting smaller not bigger. I could feel my blood pressure rising and by the time I had finished I would be totally knackered and in a lather of sweat. I am not too sure when it happened, think it was soon after I started part-time farming, but I now view physical chores as an opportunity to think. Composed 4 email responses I needed to get away today. Finalised a strategy for a difficult conversation with a colleague later in the week. Can up with 3 ideas for future blog posts (including this one). All up, by my standards, a pretty productive 20 minutes or so. And here’s the other strange thing. I didn’t even raise a sweat and had no lingering aches and pains either (and I am not the fittest person going around).